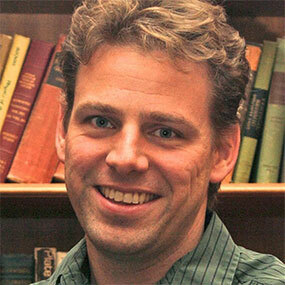 Dr. Christopher Kelley is serving as the science lead for the three-year CAPSTONE project in the Pacific. He has been the program biologist for the Hawaii Undersea Research Laboratory (HURL) at the University of Hawaii for the last 15 years. 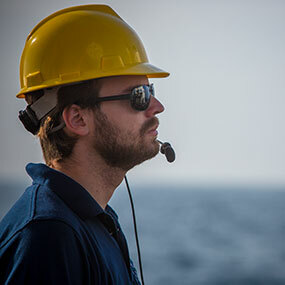 His core responsibilities have included the identification of deep-water fish and invertebrates recorded during submersible and remotely operated vehicle (ROV) operations and the extraction of video annotations for inclusion in HURL’s deepwater animal database and online photo guide. He is also graduate faculty for the Oceanography Department as well as affiliate faculty at the Hawaii Institute of Marine Biology and serves on both masters and PhD graduate student committees. In addition to his core responsibilities, Dr. Kelley has both led and worked on numerous external grants from federal and state agencies. Some projects have involved reviewing Essential Fish Habitat designations in Hawaii and elsewhere in the Pacific for the deep-water bottomfish fishery, as well as examining the impacts of bottom fishing and the effectiveness of bottomfish reserves. Other projects have involved the description of the deep-water communities living on manganese crusts in the Central Pacific, describing the deep water biological communities associated with disposed munitions off Pearl Harbor, and extracting and formatting HURL video records for inclusion in the new Deep Sea Coral Research and Technology Program national database of deep sea corals. 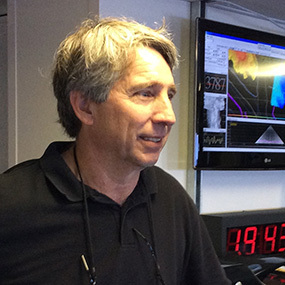 In addition to his deep-water biology work, Dr. Kelley has also lead a significant number of multibeam and sidescan sonar mapping projects throughout the Hawaiian archipelago, the latest of which involved 72 days of mapping in the Papahānaumokuākea Marine National Monument on board the R/V Falkor. His sidescan sonar towfish surveys off Oahu have led to the discovery of a number of submerged cultural resources. Dr. Kelley received his Ph.D. in 1995 from the University of Hawaii while researching fish reproductive cycles. Prior to joining HURL, he traveled extensively, providing technical assistance for developing fish hatcheries in Indonesia, Taiwan, the Philippines, Egypt, and Cameroon, West Africa. He was also an aquanaut for the Hydrolab Undersea Habitat in 1982, assisting in a study on the ecology and social behavior of Caribbean angelfishes. Dr. Jasper Konter is interested in the origin and evolution of seamount and island volcanoes related to hotspot volcanism, as well as the implications they have for mantle geochemistry and plate tectonics. The seamounts of the western Pacific Ocean are some of the oldest submarine volcanoes in the world, and they provide us with rare insights into the interplay between hotspot sources and Pacific Plate motion back into the Cretaceous time period. Through determination of the ages of these volcanoes, as well as their geochemical compositions, we are able to trace many of these volcanoes to currently erupting hotspots in the central Pacific. In particular, Jasper works on the basaltic rocks that make up the main structure of these volcanoes, and he analyzes them for elemental abundances and isotopic compositions. 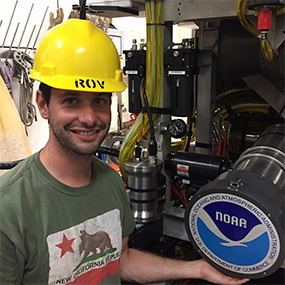 Jasper previously participated as a shore-based scientist in the 2015 Okeanos Explorer cruise around Johnston Atoll and has clocked many months at sea prior to that, sampling submarine volcanoes across the Pacific through dredging, including two cruises as chief scientist. Jasper received a combined MSc and BSc from the Vrije Universiteit Amsterdam, and a PhD from Scripps Institution of Oceanography (UCSD) in Earth Science. Roland Brian brings 29 years of experience and a keen eye for precision HD video to the program as a video/satellite and telepresence engineer. Roland began his career in the U.S. Air Force where he worked as a Satellite Communications Engineering Technician with visions of working on the U.S. Space Station. 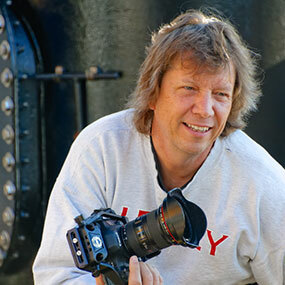 He traded in that quest for one of deep-ocean exploration and sharing beautiful imagery with the world. 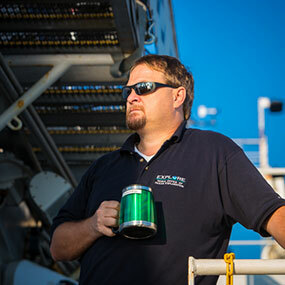 He has worked with the NOAA Office of Ocean Exploration and Research (OER) and the Okeanos Explorer Program since 2009 and has been engaged in every telepresence-enabled remotely operated vehicle (ROV) expedition. He has also provided services for other projects using OER’s mobile telepresence system, including the 2012 Ring of Fire Expedition. 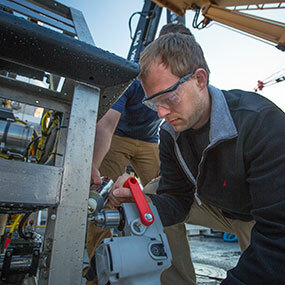 His duties aboard NOAA Ship Okeanos Explorer include operation and maintenance of the ship’s Telepresence and video systems, including on ROV Deep Discoverer and the Seirios camera platform. Again, Roland's experience embodies the breadth and depth of knowledge the OER program encourages. 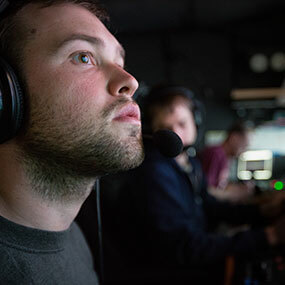 When not fine-tuning the video and telepresence systems or training and mentoring new team members, he's actively involved in the editing process of our ever-expanding ocean exploration video library. While not at sea, Roland enjoys life with his wife and family in sunny Sarasota, Florida. When Brian was five years old, he decided that he wanted to be a marine biologist and explore the unknown reaches of the planet, and now he has his dream job. Originally from land-locked Athens, Georgia, Brian grew up fascinated with marine mammals and the ocean. 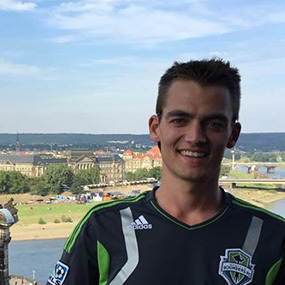 Brian attended the Honors College at the College of Charleston (CofC) in South Carolina where he majored in Marine Biology and minored in Marine Geology. 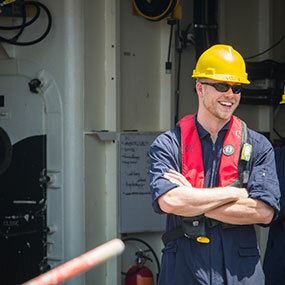 While at CofC, he had the opportunity to sail on multiple research cruises aboard two different NOAA research vessels and meet multiple NOAA Commissioned Officer Corps members. 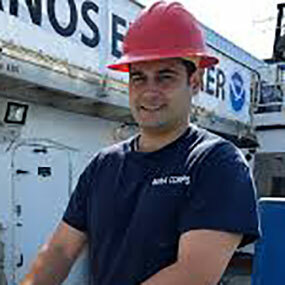 Shortly after graduating with honors from CofC, Brian was awarded a commission in the NOAA Corps. 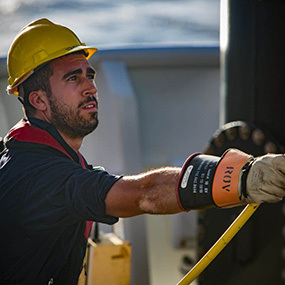 His first sea assignment was as a Junior Officer aboard NOAA’s Okeanos Explorer, America’s Ship for Ocean Exploration. 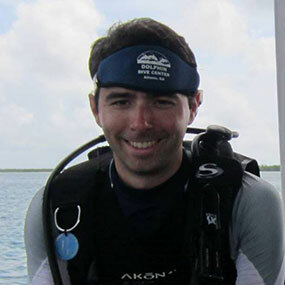 Upon completion, Brian was then assigned to NOAA's Ocean Exploration Program, where he worked as an Expedition Coordinator for the Okeanos Explorer. Now separated from the NOAA Corps, Brian works for the Office of Ocean Exploration and Research as the telepresence coordinator. Brian has participated in or led more than 25 expeditions of exploration taking him to two oceans (Atlantic and Pacific), three continents (North America, South America and Asia), and through the waters of more than five countries (Ecuador, Panama, Costa Rica, Honduras, Indonesia). Brian is serving as the ROV navigator on this expedition. Andy earned a Bachelor’s in Ocean Engineering from Texas A&M. He then obtained a Master’s in Mechanical Engineering focusing on Robotic Artificial Intelligence and Systems Engineering from Embry Riddle in Daytona Beach. 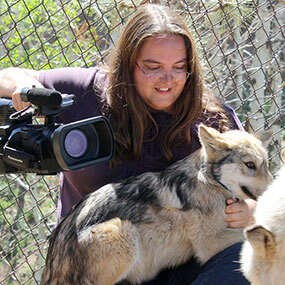 After college, he lent his knowledge to the oilfield service industry for four years, living in various places including Wyoming, North Dakota, and Alaska while on assignment. Recently, he has come back to the mechanical and software side of engineering to contribute to the team at the Global Foundation for Ocean Exploration. He loves traveling, exploring, and being outdoors. 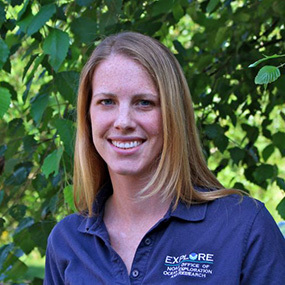 Lindsay earned her master’s in Ocean Mapping from the University of New Hampshire in 2013 and her bachelor’s degree in Geological Sciences from Brown University in 2007. 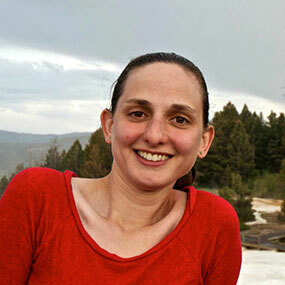 Lindsay worked as a geologist in the environmental field for three years before returning to graduate school. In graduate school, Lindsay gained practical seafloor-mapping experience during research cruises to the Mediterranean Sea and Arctic Ocean. Lindsay joined the Ocean Exploration program in early 2014 as a Mapping Team Lead, where she is responsible for the ocean mapping systems onboard the NOAA Ship Okeanos Explorer. At sea, Lindsay produces maps that are used to direct the exploration process and plans the day-to-day mapping routes to ensure the ship is always exploring efficiently. 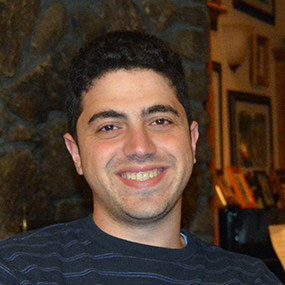 LTJG Nick Pawlenko joins OER as Expedition Operations Leader. Nick is rotating to land after three field seasons aboard NOAA Ship Okeanos Explorer. During his time aboard the Okeanos Explorer, Nick was able to work with the ROV team, often sitting in as ROV navigator and co-pilot. Nick graduated from the University of Pittsburgh with a Bachelor of Science in Mechanical Engineering and a Masters in Business. He also recently completed MIT’s Professional Education program Rapid Robotics: Autonomous Systems with Open Source Software. Prior to joining NOAA, Nick was very involved in the Pittsburgh community and served on the Board of Directors and as Treasurer for the Oakland Business Improvement District for many years. While in Pittsburgh, he also remodeled residential and commercial real estate and was involved in the bar and restaurant business. 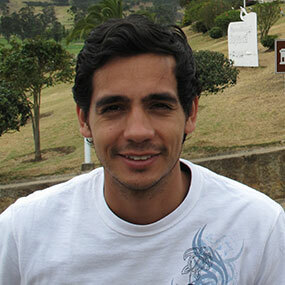 Nick is very excited to continue his work with OER and be an asset to the team in his new land assignment.